"I love living here at the Starliter Apartments. At other apartment buildings, it’s just apartments – they don’t have too many community resources. But here, there’s so many resources for finding agencies to help you in your housing environment." Mike has 17 years of multifamily real estate experience including brokerage, property & asset management, and real estate development. 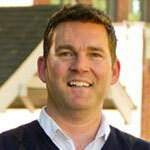 Since 2008 Mike has served as Executive Director of Mt. Baker Housing and is responsible for overseeing the organization’s real estate development activities, asset & property management functions, and resident service program. Since taking over as Executive Director, Mike has completed five acquisition-rehab projects which nearly doubled the size of the organization’s real estate portfolio. 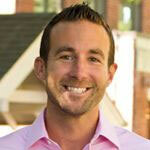 Conor has been involved with multifamily real estate since graduating from the University of Washington in 2006. He is currently responsible for all real estate activities related to Mt. Baker Housing’s existing Assets and New Development. 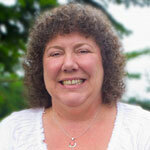 Terri began working with Mt. Baker Housing Association in 1997. She is responsible for all aspects of accounting at the agency level, including paying bills, processing payroll, reviewing monthly property reports and preparing consolidated financial reports. Khadijah brings 25 years of work in Human Service & Housing related issues to Mt. Baker Housing. This includes Emergency & Domestic Violence Shelters, Foster Care, Transitional and permanent housing. As Resident Services Coordinator she puts her background to work connecting residents with day to day support services necessary to maintain adequate, affordable housing. Sarah is from the Pacific Northwest and lives in South Seattle. She grew up volunteering for local nonprofits and community projects, including: Pacific Science Center, Seattle Men’s Chorus, and Lifelong AIDS Alliance. Sarah comes to Mt. Baker Housing with over a decade of administrative experience, with a strong nonprofit focus. She has a range of skills, including: Bookkeeping, Fundraising, Cultural Literacy Materials, Website Development, Marketing & Advertising. Jevon is has lived most his life in the PNW. He has participated in multiple programs focused on multi-cultural, multi-ethnic community engagement and development. He also serves in the faith sector giving him a well-rounded approach and diversity of understanding of people and the flourishing of community. Jevon is currently attending Kilns College where he is working on his second master’s degree in social justice.